Sanders Mortuary, one of Newberry’s two funeral homes first opened it’s doors to business in 1938 at 846 Diamond Street by Roy and Ruth Sanders. In 1931, the Reverend Frank H. Sanders was appointed to serve as Pastor of Saint John’s United Methodist Church in Newberry. The Sanders family, who previously resided in York, PA., moved into the church parsonage, which was located at 821 Funston Avenue, at that time. Reverend Sanders and his wife, Sadie, had six children. The oldest, Paul, died during the flu epidemic of 1918. LeRoy, Marshall, Frank, Jr., Martha Jean and Mary Jane settled into the parsonage on Funston Avenue. Roy graduated from the Williamsport High School in 1932 and then attended business college. He then graduated from the Cincinnati College of Mortuary Science and returned to Williamsport and served his apprenticeship with the former Redmond Funeral Home. In 1938 he opened his own Funeral Home business at 846 Diamond Square. He continued helping at Redmond’s Funeral Home and also assisted Seymour Knight who operated a funeral home at 2116 West Fourth Street, that was later to become the office of Dr. Warren Hayes. In 1945 Roy purchased the property at 821 Diamond Street from the Ripka family. 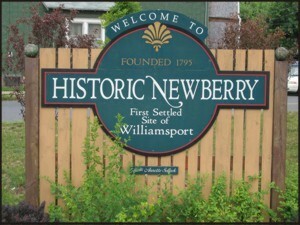 Previously the building had been the office and home for Dr. Franklin Bell, the first President of the Bank of Newberry. In the summer of 1946 after extensive renovations, he moved Sanders Mortuary to its current location 821 Diamond Street. Ernest R. and Frances Snider bought the building in Diamond Square and operated a grocery store there for many years. Roy’s brother, Frank Jr., followed him into the funeral profession following World War II, but the business was not large enough to support both families. Frank moved to Reading, PA. and then Lititz, and then back to Reading where he worked for the Gibson Funeral Home. He later purchased the business and his son Fred continued to own and operate the funeral home. 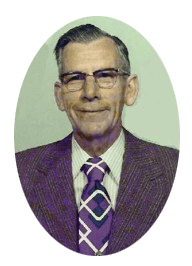 Frank’s oldest son, Frank III, followed in his Grandfather’s footsteps and served as a minister in the United Methodist Church. Roy Sanders married his High School sweetheart, the former Ruth M. Arnsberger of York Pa., in 1937. From this union of marriage came two children, Nancy and Larry. Nancy graduated from the Williamsport Area High School in 1957 and Lankenau Hospital School of Nursing in 1960. She currently resides in Corte Madera, California with her husband, Gerald P. Parsons. Larry graduated from the Williamsport Area High School in 1960, Lycoming College in 1964 and the Pittsburgh Institute of Mortuary Science in 1966. Larry returned to Williamsport to work with his father Roy. In 1970, Roy and Larry formed a partnership in the business which continued until Roy’s death in 1973, at the age of 59. Ruth died in 1976. She was only 61. Larry married the former Nancy A. Rogers in 1966 whom he met while both were doing graduate studies at the University of Pittsburgh. Nancy returned to school after their children went to college, and graduated from the Cincinnati College of Mortuary Science. In addition to continuing the business, Larry Sanders has served as preceptor for his wife, Nancy and has also served in the same capacity for John M. Confer, of Knight-Confer Funeral Home, Inc. and Brian H. Hunsinger, of McCarty-Thomas Funeral Home, Inc.
William H. Kieser, completed his resident internship in 1999 also under Larry Sanders and has been a licensed funeral director at Sanders Mortuary since. In November of 1999, the funeral home expanded again, when Larry and Nancy purchased the property on the north side of the funeral home which was owned by the same Frances Snider who owned the grocery store. The building was demolished in March of 2000 and the lot was developed into additional parking and landscaping for the funeral home business. Larry and Nancy owned Sanders Mortuary for over 35 years. In December of 2009, they gave up the day to day operations of the firm but continued to work as licensed funeral directors at Sanders Mortuary. 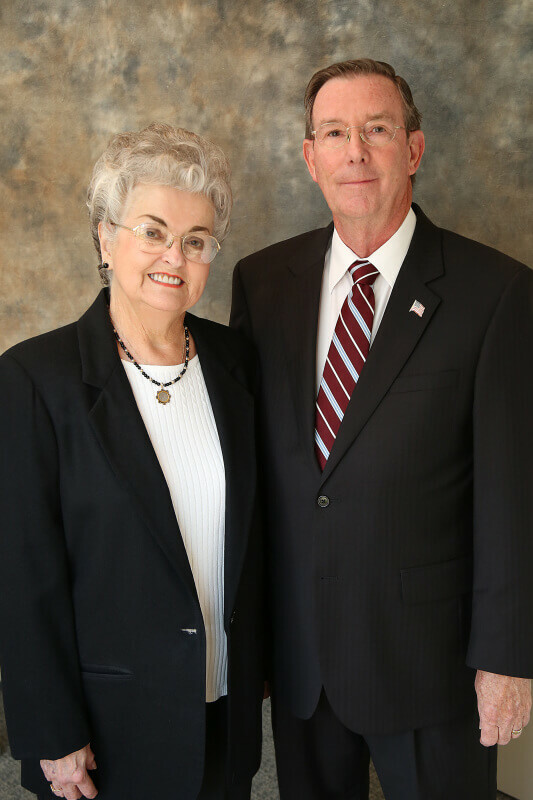 The staff of Sanders Mortuary, continue to carry on the “excellence” of the business as established in the 1930’s by Larry’s father and mother, Roy and Ruth Sanders.